Q: What happened to Blofeld's cat? Q: How many James Bond movies did Roger Moore make? 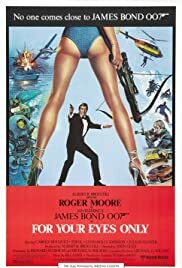 After 1979's sci-fi cartoon called Moonraker, Albert Broccoli and the rest of the James Bond producers decided to change the pace for Roger Moore's fifth adventure. This included firing incumbent director Lewis Gilbert and writing a more believable plot, to begin with. The second item on the agenda was to write a script which curbed Roger Moore's obsessive tendencies to pile on the jokes. Add a few good villains and allies, and voila! a classic James Bond adventure there is. All right, maybe it was not that simple. This time around, Bond is sent to investigate the murder of one Timothy Havelock, who was working to salvage the wreckage of a spy boat carrying a vital command system called A.T.A.C. Bond's investigation leads him to believe that the Russians are also trying to recover the system, and may be using one Aris Kristatos (Julian Glover) to carry out their dirty work. Aiding Bond is the beautiful sharpshooter Melina Havelock (Carole Bouquet) and an old acquaintance of Kristatos's named Milos Columbo (Topol). As good as it is, 'For Your Eyes Only' starts out terribly. The pre-title sequence involves an attempt on James Bond's life by a bald guy in a wheelchair with a white cat (I wonder who that could be?). The scene is campy and don't get me started on the remark about the delicatessen in stainless steel (obviously put in there at the request of some actor). I understand why the sequence was filmed, but that does not make it good. Thankfully it would not be a barometer on the rest of the movie! It may not be among the very best in the series, but believe me when I say that the difference in tone between this and the goofy 'Moonraker' is like day compared to night. It is easily the preeminent Roger Moore Bond film, and is well worth watching in every area. 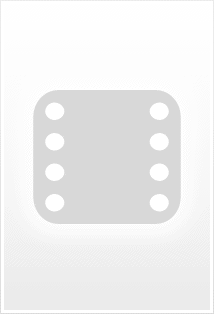 The villain is not trying to kill a majority of the human race for some outlandish purpose. There are no extravagant weapons or billionaire lunatics, no silly motives or doomsday schemes. Instead, we have a lean adventure that a Bond fan can actually enjoy. There are many outstanding qualities about this film, mixed in with a few notable negatives. Any list of what went right with this film has to begin with Roger Moore. After two mediocre performances, he really nails down the part here. He is courageous, commanding, tough, and, most importantly, serious, thanks to new director John Glen (who apparently had to do some prying to slow down Moore's humor blitz). Another BIG breath of fresh air is provided by the villains and allies, who are also treated seriously and given unusual depth of character. Julian Glover is exceptional as the ruthless and deceptive Kristatos. It is villains like this that help make the Bond series so great, and Glover is excellent indeed. No wonder Steven Spielberg cast him for Indiana Jones! In Topol, most famous for his work in 'Fiddler on the Roof', we get a terrific ally who has a great chemistry with Bond. I imagine I am not the only person who found him to be much like Kerim Bey in the great 'From Russia With Love'. Then there is the matter of the women, who both bring good and bad qualities to the table. Carole Bouquet is somewhat wooden as female lead, Melina, but can also hold her own when the heat is on, which makes her the best Bond girl in some time. Lynn-Holly Johnson provides a lovable portrayal as Bibi Dahl, a figure skater who gets the hots for Bond (don't get me started on the age difference). Her bubble headed character makes for some humorous moments and is used to make the character of Kristatos stronger. Dahl is also enrapturing to look at, but I find her ditzy part a little too over the top, but not to the point of weakening the final product. Unfortunately, there are a few items that bug me about this film. The first is Bill Conti's soundtrack. While it would be terrific literature for an up-tempo jazz band, it really clashes with the action more than anything. 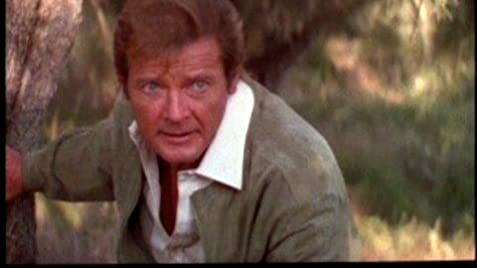 Another weakness is Roger Moore's lack of talent for fight choreography, which detracts from the action slightly. The last is Eric Kriegler (John Wyman), another invincible Oddjob rip-off that at one point picks up a motorcycle and hurls it at a fleeing Bond (!). This is all forgivable, however, because the action, from the mountainside ski chase to the climax atop a rock cliff, is of very high standards. The absurdity of the previous chapter is shed, and we get a highly entertaining adventure that appeals to fans and non-fans alike. I can certainly live with all of the flaws any day. So grab a bag of popcorn and enjoy another great 007 adventure. 64 of 95 people found this review helpful. Was this review helpful to you?